In some ways, caregiving is the new normal. One in four U.S. adult children provides unpaid care to an aging adult -- everything from hands-on physical care to shopping and household help. It can be exhausting, but it can also be a platform for a meaningful life, and a springboard to better understanding how you yourself will age, and how you can shape the kind of old age you want. 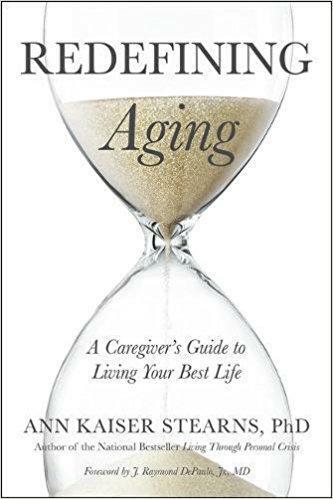 Ann Kaiser Stearns, a professor of behavioral science at the Community College of Baltimore County, combines research, insights and problem-solving tips in her new book, "Redefining Aging: A Caregiver’s Guide to Living Your Best Life". Professor Stearns will be speaking about it Wednesday at noon at the Hatton Senior Center in Canton, part of the Enoch Pratt Free Library’s “Writers Live” series. Each week several dozen people in Maryland die from opioid use. Last summer, Nicki Neirman, a nursing staff coordinator, lost her fiance to a heroin overdose. She tells us of his episodes of treatment, and how his addiction disrupted their lives. Here is journalist Wil Hylton’s Stoop story about the importance of following a hunch … and being open to hear the truth when you get there. Hylton is a contributing writer for The New York Times Magazine, and the author of Vanished. Don’t miss the next Stoop show, “Breaking with Tradition: Stories about Unconventional Holidays” coming up on Tuesday, December 12, 7:00 pm at The Senator Theatre. Digital, analog. One player, multi-player. Humans love games. We may not realize how much a part of our lives they are, and how much Baltimore is a hub for creating games. Jonathan Moriarty, chair of a non-profit for developers, tells us about Baltimore’s booming game industry, and what supports it. MICA has a game designer-in-residence. This year it’s Lishan AZ, who blends real life and digital in a project that explores the life of journalist Ida B. Wells. And the head of MICA’s game-design program, Jason Corace, tells us how play builds empathy.